If you have a good imagination, it’s probably easy for you to picture your ideal backyard with all the features you want, such as a fire pit surrounded by benches and an outdoor kitchen for summer parties. However, turning your ideas into reality can be a little tough if you have to rely on words to convey your vision, even for the best backyard builders. 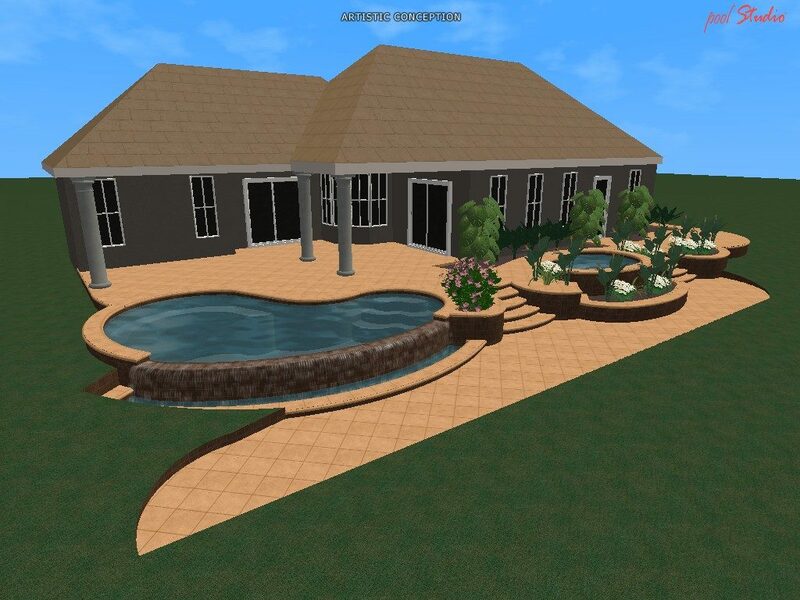 Today, we can utilize 3-D computer modeling software to help you plan your ideal outdoor living space. Visualize your pool design dreams right now. We think creating 3D swimming pool designs should be easy and fun for you! 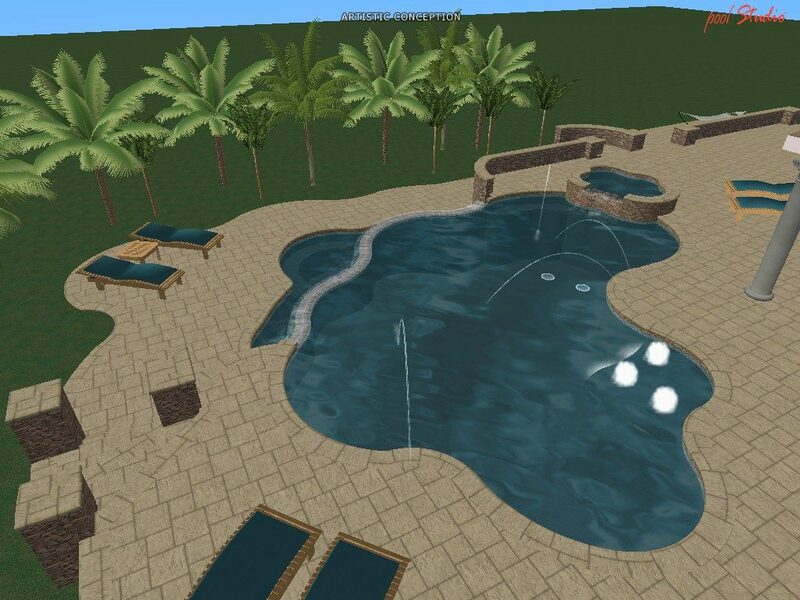 3D computerized technology will allow you to have the fast, convenient way to create rich dimensional 3D swimming pool designs for your dream oasis in the backyard. If you can imagine it, we can design and build it! 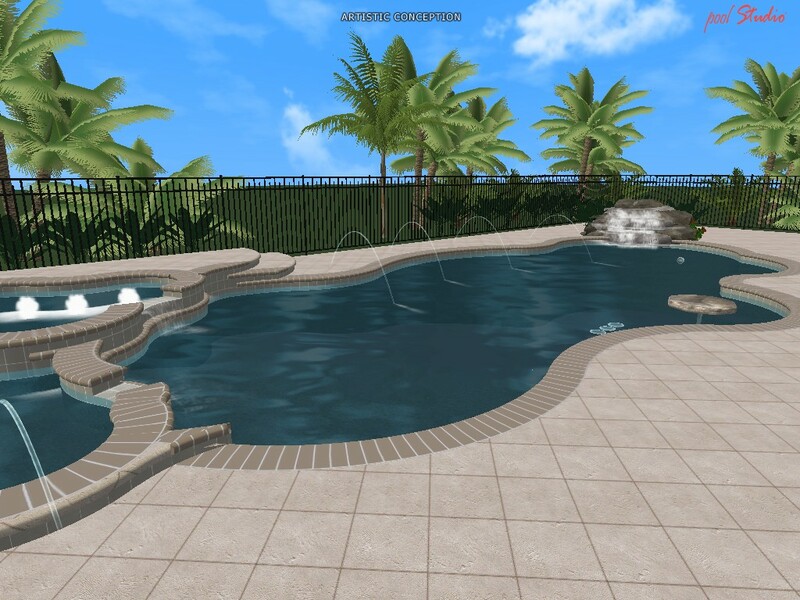 We understand that you have better things to do than look over complex 2D pool drawings, building plans and deck layouts, so we offer one of the most advanced 3D pool design tool for our clients. No experience with 3D design necessary – if you know how to use a computer, you’ll know how to plan with our 3D design tool and one of our team members will help you in the design process too. In fact, we encourage you to have fun with it. Visualize your dream backyard. 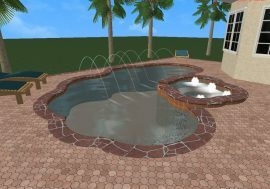 How Do 3D Swimming Pool Designs Work? 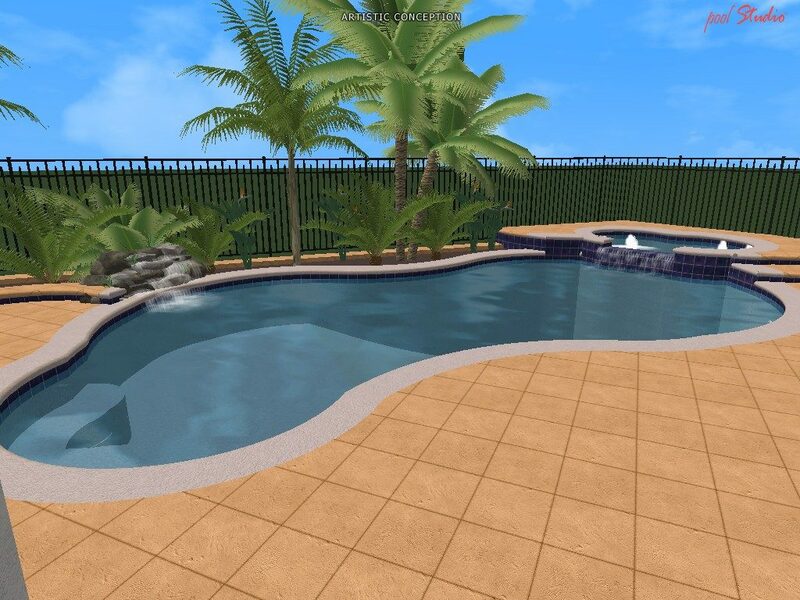 Our 3-D design software allows you to completely create a backyard paradise from the ground up. With simple mouse clicks and tool selections, you can redraw a patio, place a fire pit or create an outdoor kitchen. We start by recreating your existing backyard so that we can create a plan that will reflect the actual dimensions of your yard. Not all pool designs are the same. 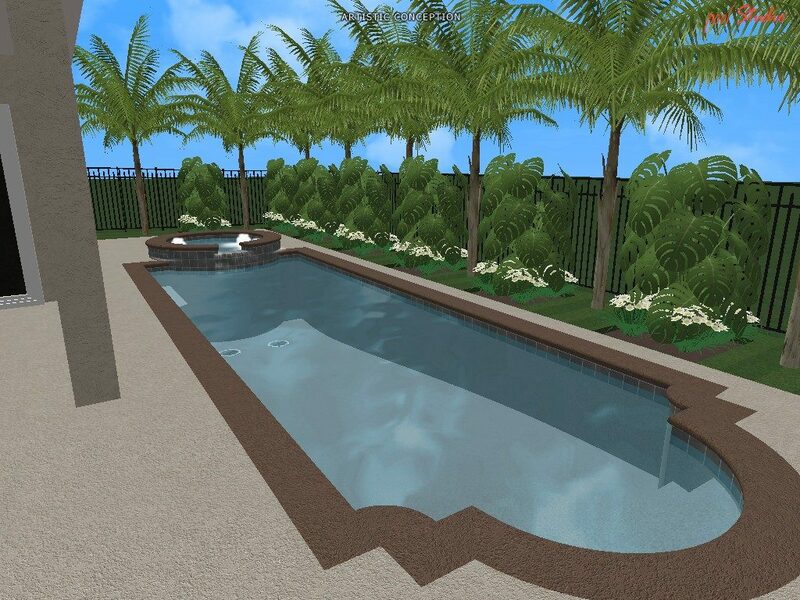 But with American Pools and Spas 3D design, you’ll express your creativity, find inspiration and make smarter pool design choices, faster. A 3D model is a real, life-sized pool plan built inside of the computer and offers a far more realistic view of your new pool than 2D drawings. Experiment with options in 3D and you can save time and money by using a computerized model to try out different design ideas. 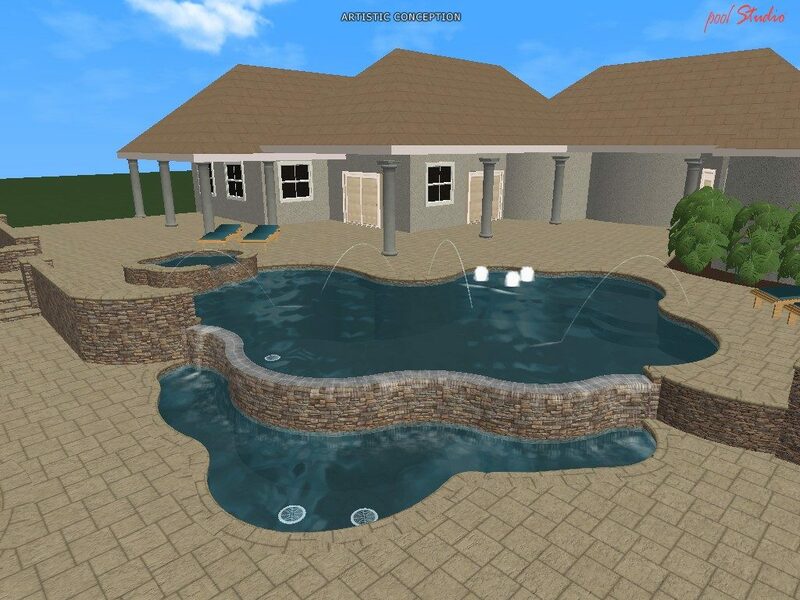 Easily share your 3D design with friends and family to help in the decision making process – and to build the excitement about your new dream pool! Plot out the landscape around your pool deck and a lot more. 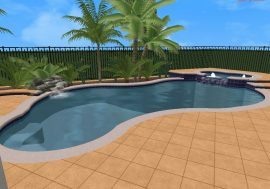 With 3D design, it’s never been easier to add beauty, shade, and color to your pool and deck areas. 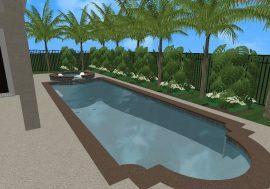 All swimming pool construction and shop fabrication drawings are created from the 3D model ensuring accuracy BEFORE even beginning construction. What Are the Benefits of 3-D Design? With our 3-D design software, we can edit and adjust plans on the fly while you work with us. You don’t need to rely on extrapolations from 2-D drawings to visualize how your backyard will look after your project is completed. Instead, you’ll be able to look at realistic renderings that can be adjusted instantly. 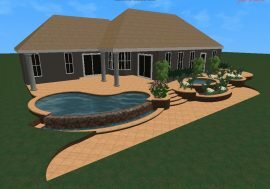 Using 3-D software also enhances the accuracy of the designs for your outdoor living space. 3-D designs are excellent for outdoor areas that aren’t a simple square. A backyard with uneven elevation, for example, can be difficult to visualize on a flat piece of paper unless you’re intimately familiar with topographical maps. With a 3-D design, however, you can have a visualization that will intuitively reflect the final look of your project. The final drawings for fabrication come directly from the software, ensuring that measurements are accurate and that everything will fit together. This saves you both time and money on the final project. Get inspired in our 3D Design Gallery! 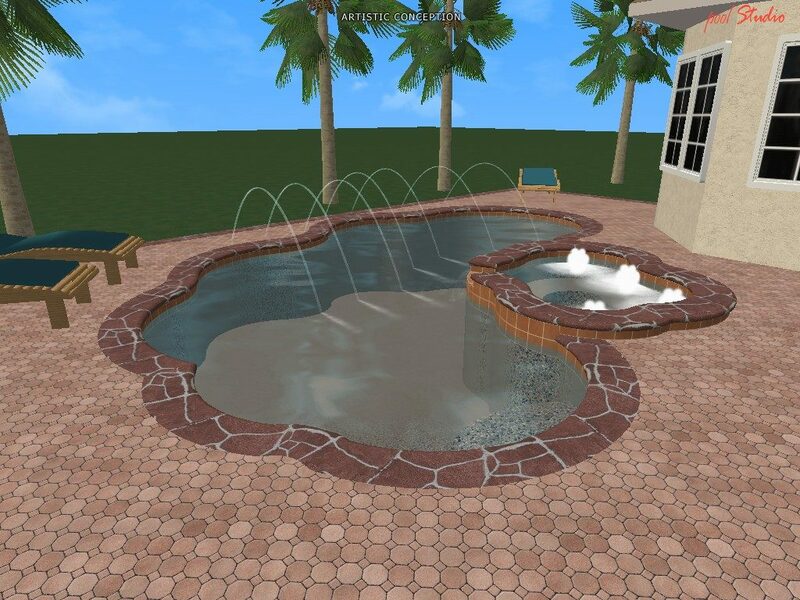 Jump in and explore the American Pools and Spas Design Gallery to find inspirations from other dream pool plans. Copy designs you like, then customize those design plans to make them your own. If you want to build a pool, make sure to hire the market leader in the Central Florida Pool and Spa industry. We provide exemplary customer service while building your swimming pool. Our team of swimming pool building professionals take pride in delivering products and services of only the highest quality to completely satisfy our customers. 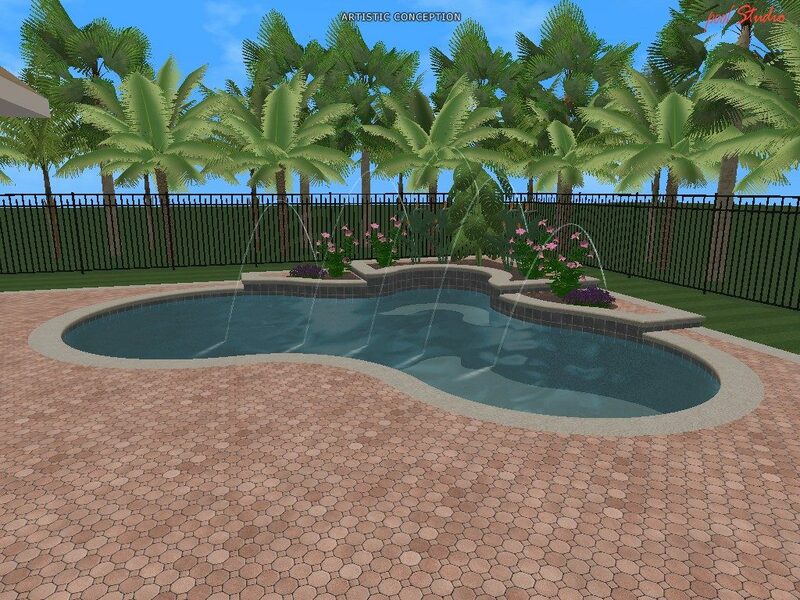 Let us make your dream of building a swimming pool a reality. Request a free design consultation today or call us at 407-847-9322.